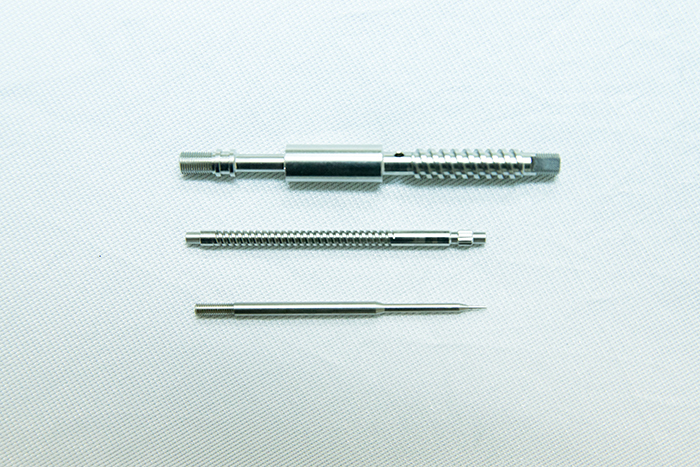 M-TECH draws the most attention is the precision processing of such challenging materials as stainless steel, brass and titanium from Φ4.0 to Φ0.5×10mm (a 20-fold increase in aspect ratio). 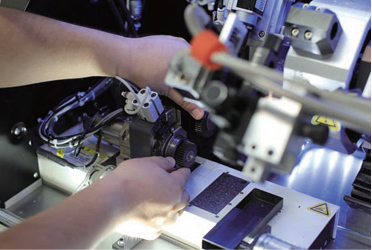 Normally, micro-fi ne long processing performed on a lathe induces elastic deformation, resulting in tapering defects. Therefore, in order to overcome that hurdle the company used a special micro-NC lathe, micro-fi ne screw cutting work and a proprietary technique for the processing of complex shapes, as well as a correction system incorporating a charge-coupling device (CCD) camera as a main part of the overall process, thereby achieving the production of an external dimensional tolerance ±2μm as an integrated component in a single manufacturing step. 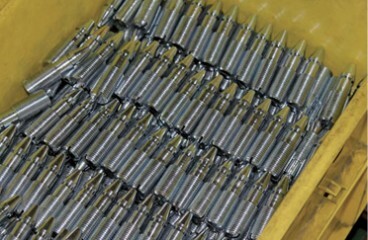 The technique of using a compact NC lathe to cut a small circular bar 15mm long and 6mm across to as small as 2/10mm had long been considered impossible. Therefore, no one had tried to meet the challenge. At the 2011 edition of Compamed, held in Germany as the world’s largest medical equipment trade fair, engineers from across the world could not believe their own eyes. A booth in a corner of the hall was enveloped in excitement and　enthusiasm. In that booth, there was a product that had been　branded technically “impossible” due to the extremely high level　of difficulty involved in the design stage. An engineer visiting　the booth sighed and muttered, “I wouldn’t know how to use it, but there is no question that it’s amazing.” Other engineers who were standing behind him said, “How about in surgery?” “No, it should work well in cryosurgery.” “Can they make it in pure gold?” Business ideas and potential applications of the product and technology, in English and German, were discussed in the booth. 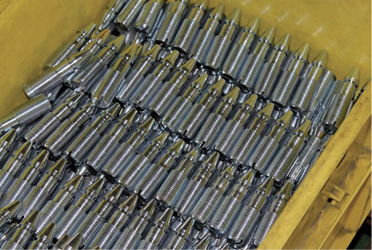 The point that draws the most attention is the precision processing of such challenging materials as stainless steel, brass and titanium from Φ4.0 to Φ0.5×10mm (a 20-fold increase in aspect ratio). 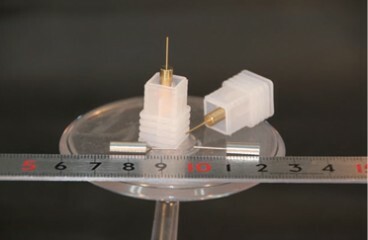 Normally, micro-fi ne long processing performed on a lathe induces elastic deformation, resulting in tapering defects. 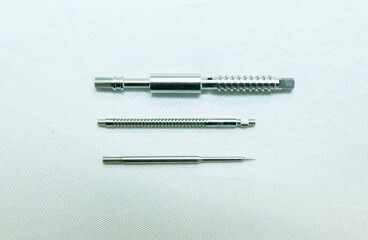 Therefore, in order to overcome that hurdle the company used a special micro-NC lathe, micro-fi ne screw cutting work and a proprietary technique for the processing of complex shapes, as well as a correction system incorporating a charge-coupling device (CCD) camera as a main part of the overall process, thereby achieving the production of an external dimensional tolerance ±2μm as an integrated component in a single manufacturing step. M-TECH Co., Ltd. was established in 1961 as Limited Liability Matsuki Works. Initially, the company manufactured components for measurement instruments, using a desktop screw lathe called a bench lathe. 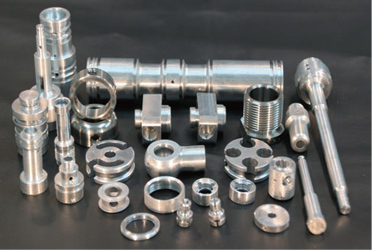 Subsequently, the company expanded its range of operations to include the manufacture of engine parts and automobile components. In 1991, the name was changed to M-TECH Corporation. Mr. Matsuki (age 37) had once been a student at a technical high school, driven by an avid interest in all things that had anything to do with engines. After studying in America, he went to work for a manufacturer of machine tools. At age 24, after a three-year stint there, he joined M-TECH Corporation. Toru, who at the time he joined the company was already head and shoulders above his peers in terms of mechanical knowledge and skills, was frustrated that the company had focused exclusively on the machining of small, circular objects. He had a growing desire to meet new challenges by getting his feet wet in alluring techniques such as machining and lathe work. However, his father, the company president Hisaichi Matsuki, admonished: “Let machining operators do the machining, and you stay away from it.” In 2006, he was named as the senior managing director. In search of a proper role in that capacity, he struggled to make a breakthrough, and spent considerable time creating trial objects together with his peers. The business world was hit by the so-called Lehman shock in 2008. M-TECH Corporation, like many others, experienced a steep drop in sales. As many other firms entered bankruptcy or closed completely, Toru a new perspective from which to view his company. When compared with firms that had filed for bankruptcy, Toru realized: “Thanks to the specialization in the machining of small, circular objects, my company has proved to be quite viable in cost and equipment as far as circular objects are concerned. Businesses that boasted the versatility needed to handle anything were the first to go bankrupt. Because those businesses were mediocre at anything they handled, they had nothing special to offer.” The notion of doing anything with the company’s own lathes no longer worked, so Toru decided to consign anything other than circular objects to other professionals and thereby collaborate with them. As for himself, he decided to hone his skills to the highest level of circular object machining and take up the challenge of creating new value. That realization became the moment when his job was transformed from the business of manufacturing to the business of creation. Shortly after the Lehman shock, a representative from a medical device manufacturer came to see Toru. He brought a design sheet and told him, “To be honest with you, no one would want to get involved in this design since it’s considered to be in the realm of technical impossibility. If this proves feasible, though, it will be a sensation.” The object of discussion was the fabrication of a medical device component that is extremely thin and long, for use in leading-edge medical treatment. 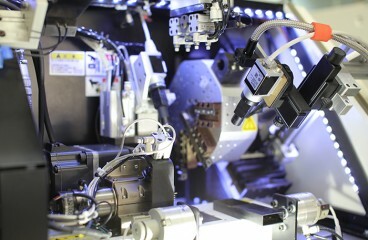 The task would require the machining of a small, circular object, for which Toru’s company possessed singular expertise. The object, however, was much more difficult to turn into a product than anything M-TECH had handled in the past. So, for all practical purposes, it was infeasible. 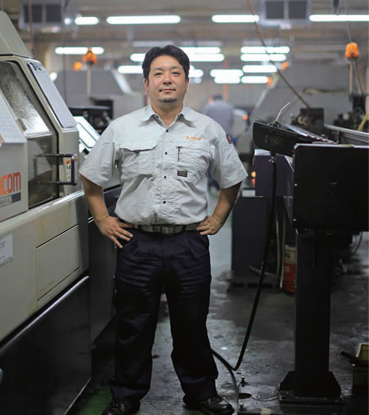 When asked by the client, “Can you machine it?” Toru replied, “It may be really tough for us to tackle. 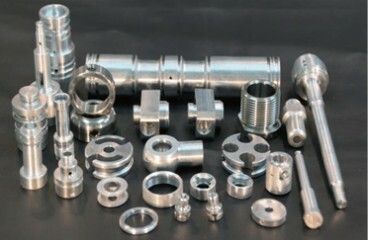 I’ll speak with other manufacturers.” However, every other business specializing in the machining of fine objects said, “No, this will end up being bent, and it may crack. 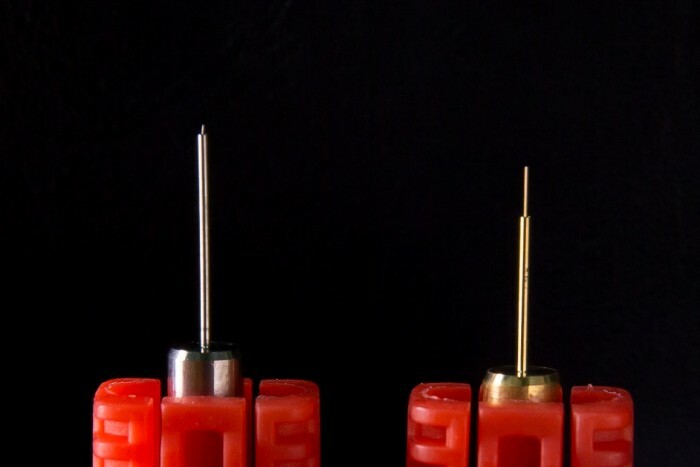 It’s too thin to survive the machining process.” The upshot was that no single business possessed the Technique needed to turn the object into a successful product. Toru recalled the words of the person who brought the design drawing to him. If the object could be manufactured, the feat would be a sensation. Toru plunged headlong into the work. He was buoyed by a lucky stroke of events in that, beginning in 2009, the new technology development grant that his company was receiving from the Ministry of Economy, Trade and Industry was also designated to cover the medical field. 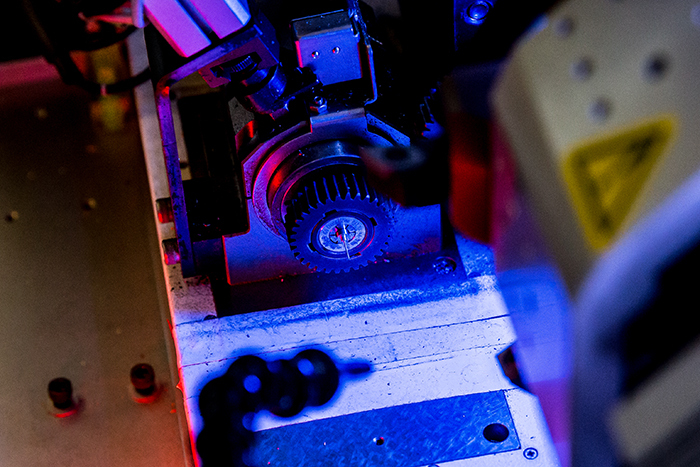 The challenge was to perform the micro-fine machining that required a type of cutting technology no one possessed. 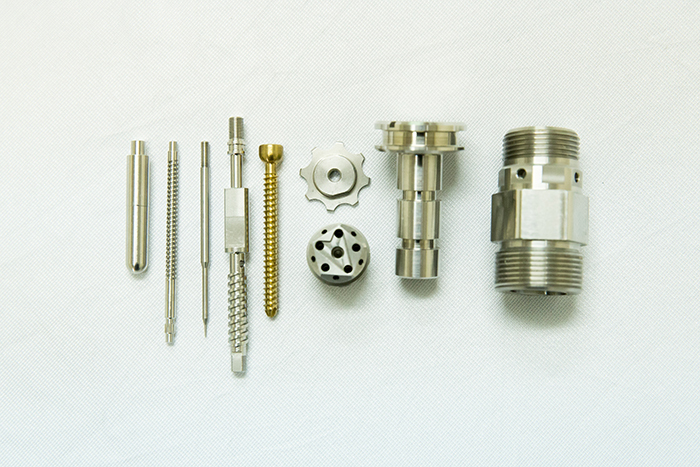 Faced with a material that was extremely difficult to handle, the conventional micro-fine machining with which M-TECH was familiar produced only defects. Even with his exceptional knowledge and skills, Toru found himself at a loss as to how he could succeed. Toru then sought the help of universities and other relevant parties. 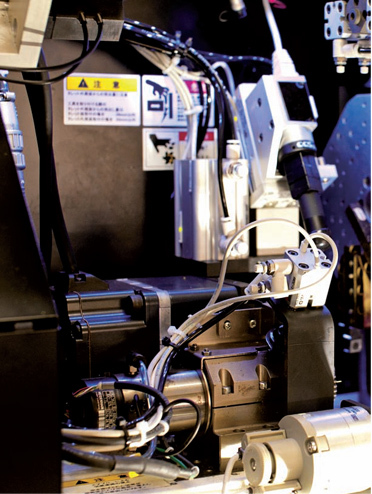 First, he had support from university personnel who were researching the use of a charge-coupling device (CCD) camera in application to micro-fine machining. 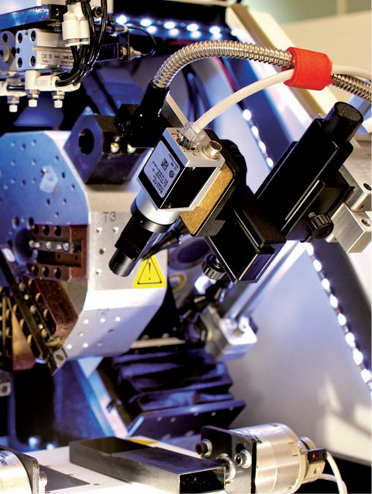 To address the problem whereby the material to be machined would bend, he introduced the CCD camera as the means to tackle a problem that could not be handled by conventional equipment. He carried out the work through real-time monitoring of the distance between the cutter and the object being cut, seeking to determine the time at which abnormal conditions occurred. Twenty thousand attempts ensued, and finally a micro-fine machining technique was accomplished. Toru’s original ideas had been successfully applied to an object that had been thought technically unachievable, and it was possible to produce the object in a single integrated process. It was a feat no other engineer in the world had been able to accomplish. It would truly be a sensation, bearing out the words of the client who had brought him the drawing sheet. “The sensation” occurred as a real-life experience before Toru’s own eyes at the 2011 trade fair in Germany.